The US Food and Drug Administration is under intense pressure to shore up public confidence in the safety and quality of prescription drugs. Drug experts are scrutinizing the risks associated with long-term use of statins, following the withdrawal and labeling changes for COX-2 inhibitors. Reports of a rare blindness among users of Pfizer's impotence drug Viagra have raised alarms. Members of Congress and health professionals are proposing strategies to accelerate FDA2s disclosure of serious adverse event information, to compel manufacturers to make proposed label changes, and to complete promised post-marketing studies. FDA is responding with a range of programs and policies designed to make drug safety information available to the public, including proactive programs for identifying safety signals related to marketed drugs. 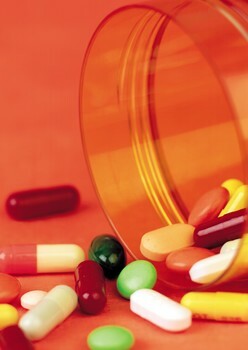 Pharmaceutical manufacturers are facing the increased need for public disclosure of product quality concerns, added pressure to complete Phase IV studies, changes in drug distribution practices, and fines or product recalls for companies that fail to comply--more intense monitoring for counterfeit or adulterated products is an added plus. Health and Human Services (HHS) Secretary Mike Leavitt announced several FDA drug safety initiatives this past February designed to demonstrate the agency's ability to address drug safety concerns. Since then, FDA has been issuing guidances and developing programs to implement these proposals. The agency recently named the members of its new Drug Safety Oversight Board, which was formed to assess particular safety issues related to marketed drugs. The board also will provide an internal forum for resolving disagreements among FDA staffers over the management of drug safety issues. The board includes key officials from FDA and other HHS agencies, but remains in the Center for Drug Evaluation and Research (CDER), as opposed to being more independent as some reformers proposed. One early task for the safety board is to determine criteria for posting drug safety information about FDA's new Drug Watch Web site. This online information service was established to inform the medical community about emerging drug safety problems, including those involving off-label medication uses. Manufacturers are watching closely to ensure that Drug Watch safety alerts are determined by accurate and unbiased information. But, they are concerned that manufacturers will have no opportunity to assess the validity of safety information before FDA discloses it online. FDA also has commissioned the Institute of Medicine (IOM) to conduct an independent assessment of its current system for evaluating post-marketing drug safety and to recommend ways to improve its surveillance and assessment practices. The IOM panel held an organizational meeting in June and will begin its serious work at a second meeting on July 25, 2005 to complete its report before July 2006. The committee will examine how FDA fits into the nation's broader system for ensuring drug safety, current FDA and industry efforts to evaluate and manage safety problems, and whether FDA needs additional legal authority or organizational changes to deal with post-marketing safety issues more effectively. HHS officials hope that these efforts will head off moves on Capitol Hill to enact legislation establishing a new drug safety office that is much more distinct from existing FDA drug approval activities. Sens. Charles Grassley (R-Iowa) and Chris Dodd (D-Conn) introduced a bill in April that seeks more autonomy for FDA staffers involved with post-market safety assessment so that they will feel free to sound warnings about medications raising safety concerns. The bill establishes an FDA post-market drug evaluation center separate from CDER that would determine the need for label changes or possible market withdrawal of drugs found to carry high risks. The legislation also levies fines on companies that fail to complete postmarketing study commitments and gives FDA the authority to require label changes on marketed drugs. Backers of this and other similar legislative proposals believe that Congress should act now because FDA's new drug review board is not sufficiently independent, and the IOM will take a year to complete its evaluation. At the April meeting of FDA's science board, members urged FDA to lay out the critical elements of an ideal post-market surveillance system for drugs and for biologics and medical devices. Such an analysis would permit this board of experts to recommend changes to the IOM panel, to Congress, and to other safety advocates. These issues also are being explored by FDA's Drug Safety and Risk Management Advisory Committee, which offered recommendations for strengthening the agency's adverse drug event reporting system at its May meeting and plans to hold further sessions about FDA's methods for detecting and assessing drug safety problems. FDA now relies primarily on its spontaneous adverse event reporting system (AERS), which receives AE reports from manufacturers, and from health professionals and patients through the MedWatch program. This system works fairly well in catching signs of serious problems related to the short-term use of drugs for acute illnesses. It has the advantage of covering all drugs marketed in the United States, being relatively simple to operate, and being able to detect AEs that do not appear in premarket clinical trials. The main shortcoming of AERS is that it relies on third parties to submit AE reports, which may be slow and often yields incomplete or irrelevant information. Even though AE reporting has been rising (more than 400,000 reports are filed with FDA each year) the system captures only approximately 10% of serious events, which barely scratches the surface of drug related safety problems. The vast majority of these reports come from manufacturers that are required to inform FDA quickly of serious problems and to file periodic reports about all adverse event information. Spontaneous reports also are unreliable because reporting rates vary a great deal for numerous products. In addition, the volume may be affected by media coverage of a drug safety case or problems arising within a drug class. Moreover, the system does a poor job of assessing events with a lot of background noise such as heart attacks that are commonly experienced by patients taking blood pressure medication. And, many of the reports received by AERS are duplicative; a physician or pharmacist may submit a report directly to MedWatch and also to the manufacturer, which in turn includes it in its report to FDA. Interestingly, some AERS reports involve a lack of drug efficacy that arises from manufacturing quality issues, product adulteration, or counterfeiting. CDER's Office of Drug Safety (ODS) reviews and transmits such quality-related AE reports to CDER's Office of Compliance, which oversees drug quality reporting and ensures manufacturers submit timely and accurate AE reports. OC's Division of Compliance Risk Management and Surveillance manages the Drug Quality Reporting System (DQRS), which receives some 3000 adverse reports a year, nearly 12% of the AERS total. Most of these reports involve packaging and labeling problems, product contamination, or visual change. These come primarily from pharmacists who notice crumbling, discolored pills, and other product defects. DQRS staff assesses whether adverse event reports related to product defects raise significant health hazards or problems with good manufacturing practices, which may lead to recalls or label-packaging revisions. OC's risk management division also monitors the quality of marketed drugs through targeted product sampling and monitoring manufacturers' field alert reports that identify serious safety problems. The staff uses this drug quality information to identify industry trends associated with pharmaceutical manufacturing, packaging, and labeling. One aim of this operation is to identify those firms that produce drugs associated with more serious health risks to consumers. These firms may be targeted for more frequent plant inspections or closer FDA surveillance. Manufacturers that fail to comply with reporting requirements or to address quality problems may be referred to FDA's Office of Regulatory Affairs. FDA also may learn of safety problems related to product labeling and packaging through reports of medication errors from several sources, including a hospital error system managed by the US Pharmacopeia. ODS's Division of Medication Errors and Technical Support evaluates the cause of such errors, which often may involve inappropriate dispensing in a pharmacy or mistakes in the patient care environment. If the medication error arises from confusion in product name, label, or packaging, FDA deals with it directly.